Found in forests and hedge rows, this flower was once a garden flower that has escaped into the wide. Up to 10" tall - blooms in late spring. 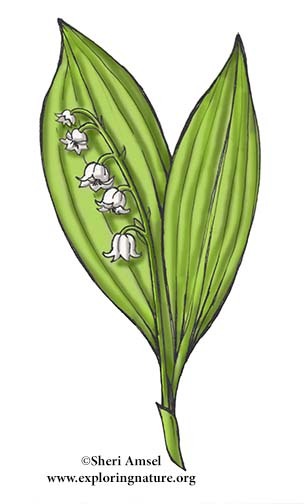 Flowers are white bells that all hang along one side of a lone stem surrounded by 2-3 large, showy leaves.